Let’s look at the advantages and disadvantages of training with an altitude training mask verses weight in your back pack. Are their advantages of training with an altitude training mask for trekking or mountaineering. Overall I would have to say NO……. Training with a mask will help give better lung capacity which is great for big mountain climbing. It also improves your respiratory threshold. Strength and conditioning, especially in your lower body is far more valuable than having excellent lung capacity and cardio fitness. If you are running a marathon you need to run 4/5 times a week and you should follow a strict training regime so you do not get injured as you build the amount of miles you are running on a weekly basis. The same applies to multi-day hiking, trekking and mountaineering trips. You need to be training 4/5 times a week building weight in your back pack so that you have the endurance, strength and miles of hiking up and down hills under your belt. If you do not have hills you can use a stair master and other gym equipment. If you are climbing Kilimanjaro here is how you should develop a training program. 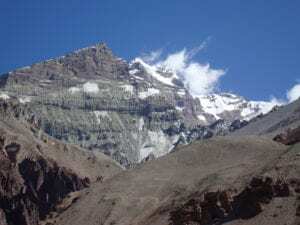 If you are trekking to Everest Base Camp and Kala Phatar this is how you should be training. For further information just CALL US and get accurate information.